Watch Your Way To Learning French–Part 10! Author AlbertPublished on 30 January 2018 13 April 2019 Leave a comment on Watch Your Way To Learning French–Part 10! Congratulations! You’ve achieved a major milestone. 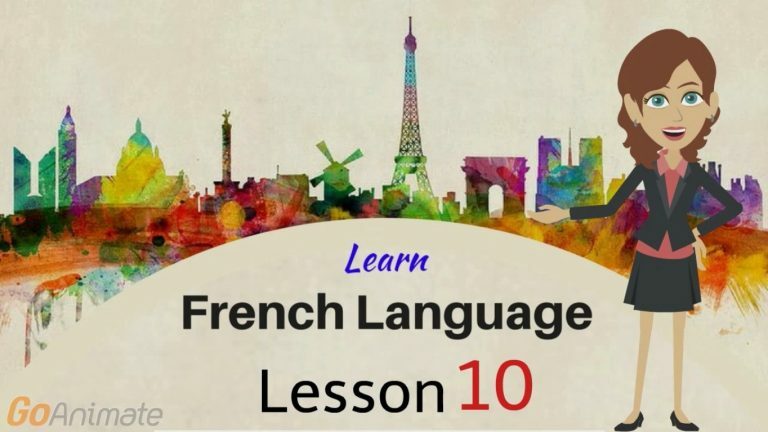 With this lesson, you will have completed 10 lessons, which means you will know 100 French words! Exercise: Complete the sentences with the right word. 1- Maman, Ça c’est mon _____, Julie. 2- Maman, Elle a ____ ans. 4- Est-ce que tu veux de ______ ou quelque chose à manger? 5- Nous aimons trois couleurs: le _____, le blanc et la rouge. 6- Non, merci, Mme Langer. _____ êtes gentille. Published on 30 January 2018 13 April 2019 Categories Learn FrenchTags Basic French words, French conversation, French courses, French language, French lessons online, French vocabulary, Learn French Albert learning, Learn French online, online French coursesLeave a comment on Watch Your Way To Learning French–Part 10! 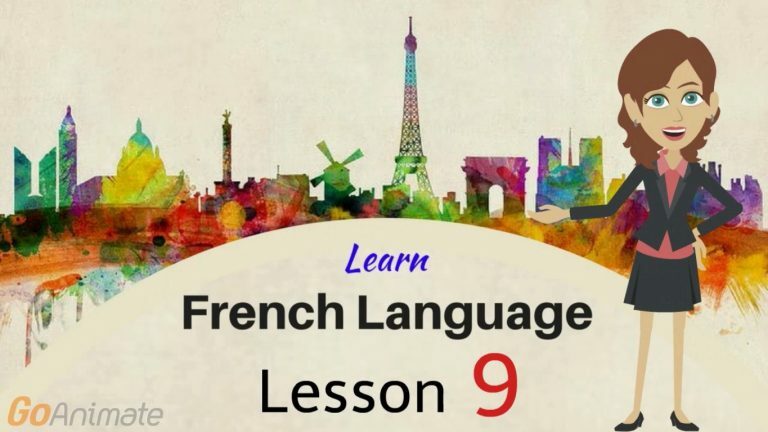 Watch Your Way To Learning French–Part 9! Author AlbertPublished on 22 January 2018 13 April 2019 Leave a comment on Watch Your Way To Learning French–Part 9! We hope you have made brilliant New Year’s Resolution–ad plan to stick to them! As for our resolution, we resolve to improve your French vocabulary–video by video. Exercise: Write ‘Right’ or ‘Wrong’ for the following questions. 2- ‘Yeux’ translates to ‘Eyes’ in English. 3- ‘Donner’ translates to ‘to give’. ...continue reading "Watch Your Way To Learning French–Part 9!" Published on 22 January 2018 13 April 2019 Categories Learn FrenchTags Basic French words, French conversation, French courses, French language, French lessons online, French vocabulary, Learn French Albert learning, Learn French online, online French coursesLeave a comment on Watch Your Way To Learning French–Part 9! Watch Your Way To Learning French–Part 8! Author AlbertPublished on 16 January 2018 13 April 2019 Leave a comment on Watch Your Way To Learning French–Part 8! Good work on completing seven lessons! We hope you are practicing each word and phrase you learnt. Learn 10 more words with this eighth video. Please write your answers to the exercise in the comment section below. Exercise: Choose the right translation for the following words. Published on 16 January 2018 13 April 2019 Categories Learn FrenchTags Basic French words, French courses, French language, French lessons online, French vocabulary, Learn French Albert learning, Learn French online, online French coursesLeave a comment on Watch Your Way To Learning French–Part 8! Watch Your Way To Learning French–Part 7! Author AlbertPublished on 12 January 2018 13 April 2019 Leave a comment on Watch Your Way To Learning French–Part 7! I hope learning these new words was as much a breeze for you as it was a joy for us to teach you. Adding to your–by now considerable–vocabulary, is another video (Lesson 7). Watch and learn! Exercise: Pick the right question for the answer. 1- Non! Je suis dans mon nouveau bureau en ce moment. a) Mais, allez-vous me rencontrer demain? b) Êtes-vous à la maison aujourd'hui? 2- Oui, je serai! Voyons voir un film. a) Oui! J'ai beaucoup de travail toute la journée. b) Mais, allez-vous me rencontrer demain? 3- Oui! J'ai beaucoup de travail toute la journée. Published on 12 January 2018 13 April 2019 Categories Learn FrenchTags Basic French words, French conversation, French courses, French language, French lessons online, French vocabulary, Learn French Albert learning, Learn French online, online French coursesLeave a comment on Watch Your Way To Learning French–Part 7! Watch Your Way To Learning French–Part 6! Author AlbertPublished on 11 January 2018 13 April 2019 Leave a comment on Watch Your Way To Learning French–Part 6! 50 words of French are in your head. You’ve practiced them and have probably bedazzled your unsuspecting neighbours, friends and family with your knowledge of the language. Here’s another 10 words to further impress everyone! Watch the video and write your answers to the exercise in the comment section below. Click here to read the precious blog. Published on 11 January 2018 13 April 2019 Categories Learn FrenchTags Basic French words, French conversation, French courses, French language, French lessons online, French vocabulary, Learn French Albert learning, Learn French online, online French coursesLeave a comment on Watch Your Way To Learning French–Part 6! Watch Your Way To Learning French–Part 5! Author AlbertPublished on 4 January 2018 13 April 2019 Leave a comment on Watch Your Way To Learning French–Part 5! We hope this season is bringing you joy, just like our lesson hopes to bring you enlightenment and an increased vocabulary in French. Write your answers to the exercise in the comment section below. 1- Je veux aller à la _____ de David. 2- J'aime _____ à sa maison. 3- Tu veux venir ____ moi? 4- Oui! Je vais prendre ____ console de jeux vidéos. 5- On peut aller ensemble à ____ maison. Published on 4 January 2018 13 April 2019 Categories Learn FrenchTags Basic French words, French conversation, French courses, French language, French lessons online, French vocabulary, Learn French Albert learning, Learn French online, online French coursesLeave a comment on Watch Your Way To Learning French–Part 5!